The Star of Honolulu has been entertaining visitors for 55 years. 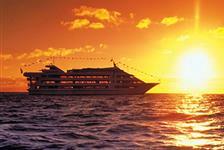 Climb aboard for an amazing sunset cruise, dinner cruise, or even a whale or dolphin watch cruise. 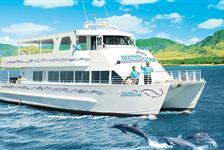 The Star of Honolulu has the widest range of cruise offerings in Oahu. Book tickets in advance for your passage on the Star of Honolulu.